Freeform has ordered the live-action Marvel’s Cloak and Dagger TV show straight to series. Deadline reports the news came out of the cable channel’s Upfront presentation, today. According the the report, the series, which is shopping for a writer, has been in the works at what was formerly ABC Family, for the past five years. Raised in a poor South Boston neighborhood, Tyrone Johnson was a good student despite his chronic stutter, a disability he struggled to master with the support of his best friend, Billy. When Tyrone was 17, he and Billy witnessed the robbery of a local store and the fatal shooting of its clerk. The thieves fled, and Billy ran as well, fearing that he and Tyrone might be wrongly suspected of the crime. When a policeman ordered Billy to stop, Tyrone tried to proclaim Billy’s innocence; but his stuttering made it impossible to speak clearly, and the officer shot Billy dead. Feeling responsible for Billy’s death and afraid of the police, Johnson ran away to New York City. Tandy Bowen was a sixteen-year-old who was neglected by her mother and felt distanced from her new stepfather. She ran away from home and came to New York City. Once she was in New York she met Tyrone Johnson, a fellow runaway. Johnson had planned to steal her purse, but when he saw another thief beat him to it, he tackled the thief and returned Tandy’s purse to her. This began their long partnership as the two came to rely on each other to get along on their own. Tandy and Tyrone were offered shelter by henchmen of Maggia crime lord Simon Marshall. Marshall”s hospitality was only a front for testing a new synthetic narcotic. The two teenagers escaped, but not before they were injected with Marshall”s drug, which awakened latent mutant abilities in both of them (a process secretly encouraged by the demon D’spayre who had hoped to feed upon their angst). Tyrone found himself compelled to drain the life-force of others by enveloping them in the darkness of his cloak. Tandy, on the other hand, gained the ability to project light in the form of energy daggers, which she used to subdue Tyrone’s darkness. 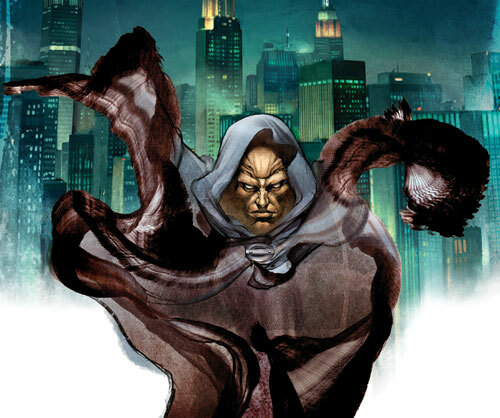 The two decided use their powers to protect the streets from men like Marshall, and became known as Cloak and Dagger. The two vigilantes have specialized in combating drug-dealers and helping runaway children. For all the work that Cloak and Dagger have done to help reform addicts and topple dealers, they realize that drug abuse is an evil greater than they can ever hope to conquer. The duo have often teamed with Spider-Man. 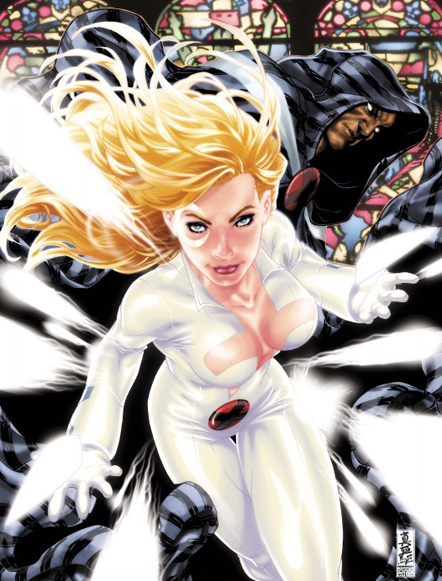 Unlike Cloak, Dagger enjoys adventuring and has often run into trouble without him. She has even served as a member of the New Warriors and as a part of Daredevil’s Unnamed Super-Hero Team. Because of Cloak’s anti-social behavior, Dagger has often been his only link to humanity. Are you a fan of the comics? 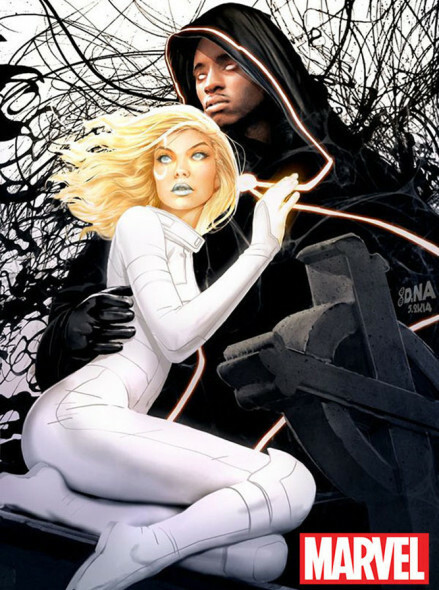 How do you like the sound of Marvel’s Cloak and Dagger as a TV series? Who do you think should write, and star in, the series? Let us know, below.